Burchell’s Coucal skulking around on the ground in Mashatu Game Reserve. Burchell’s Coucal skulking around on the ground in Mashatu Game Reserve. That blood red eye is captivating. 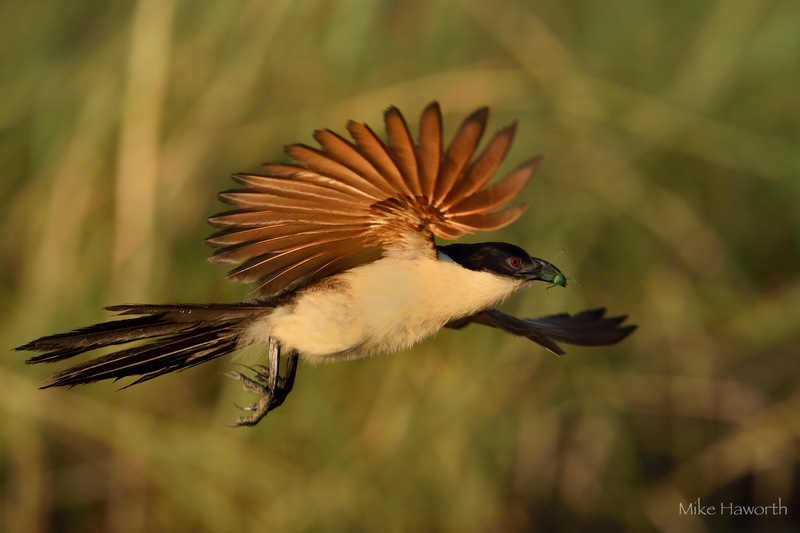 Burchell’s Coucal in flight. 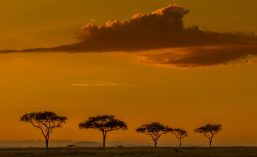 This shot was taken early one morning in Jacana alley in the Chobe River. I was hoping to get him with a frog or grasshopper in his beak – but no luck this time. 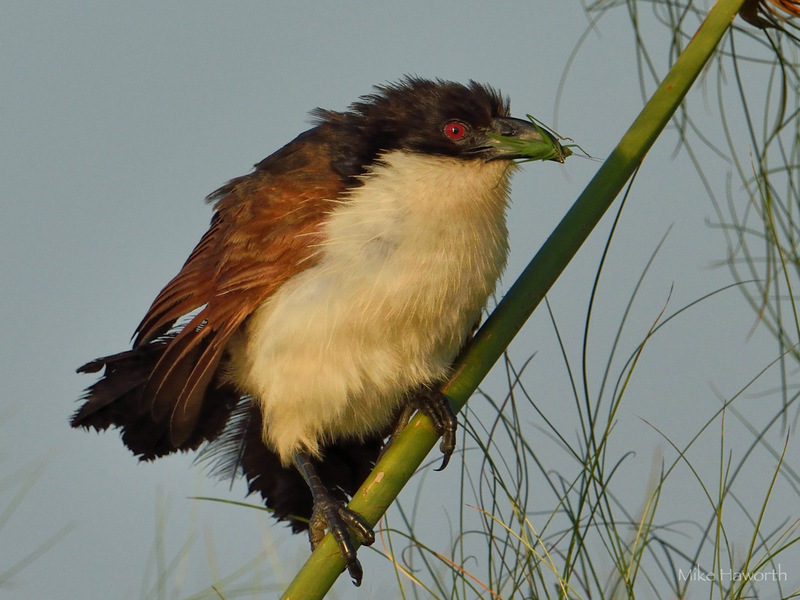 Burchell’s Coucal clinging to some reeds in the Chobe River giving its distinctive silky smooth flute -like “doo doo doo doo ” in descending pitch. A beautiful almost watery sound. 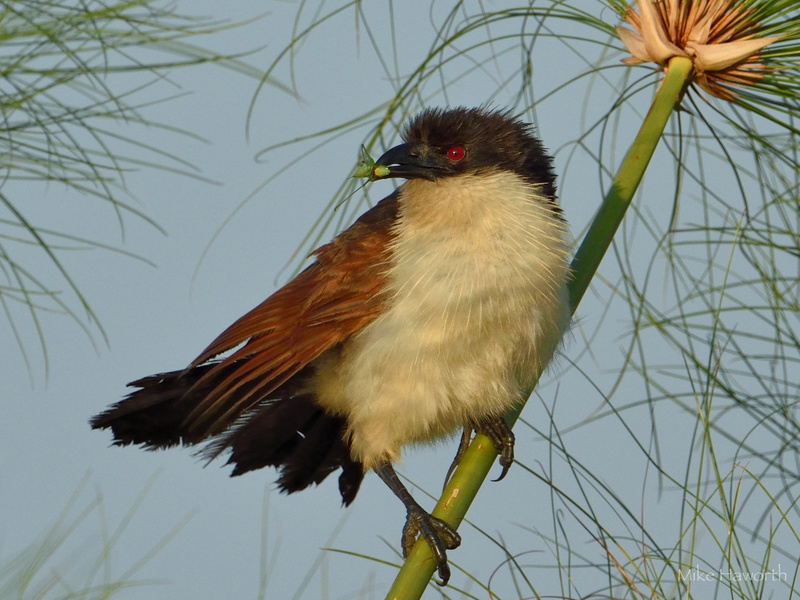 Burchell’s Coucal clinging to some reeds in the Chobe River giving its distinctive silky smooth flute -like “doo doo doo doo ” in descending pitch. 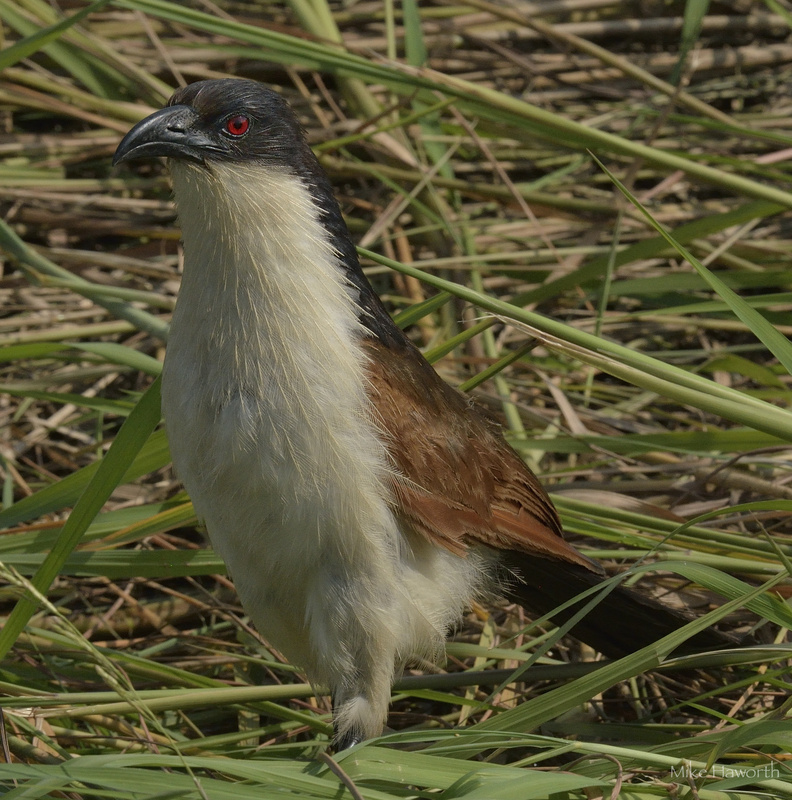 A White-browed Coucal seen in Borokalalo Game Reserve. This was unusually far south as they are more likely to be found along the Limpopo river or Northern Botswana. He was skulking down at the water’s edge for insects. 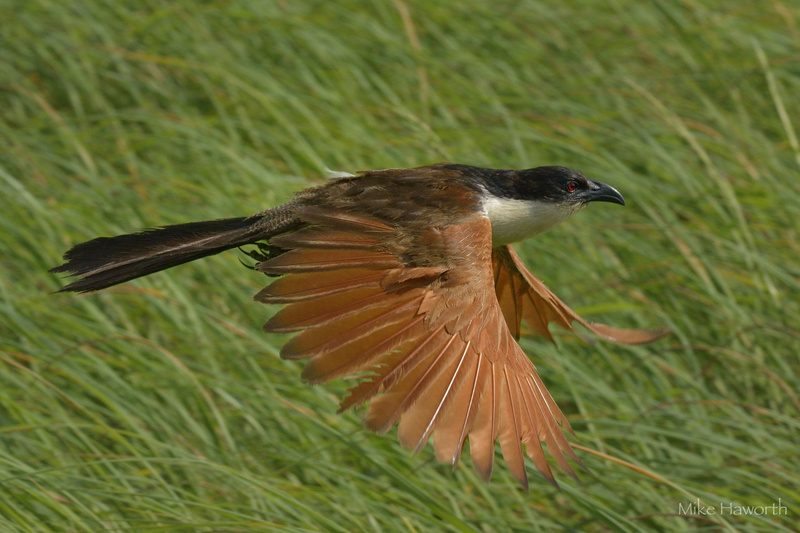 Burchell’s Coucal in the reeds next to the Chobe River. Still waiting to get the Coucal with a frog or lizard in its beak, preferably flying.